Last month, I attended the Wine Spectator Grand Tour tasting at the Mirage Hotel in Las Vegas. 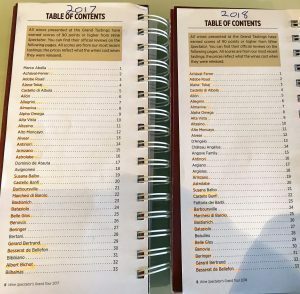 While I previously had a blast at the 2017 tasting (which I documented in my 3 part series that you can read here) I won’t be doing a series of articles on this year’s Grand Tour (apart from maybe a Top 10 post) because, frankly, I would be burning out the “cut and paste” keys on my laptop. Out of the 244 wineries participating, an astonishing 184 of them (around 75%) were repeats from last year’s tastings. Indeed, wineries like Stag’s Leap Wine Cellars, Haut-Brion, Penfolds, Casanova de Neri, Perrier-Jouët and K Vintners make a lot of great wines that are fun to try. It’s certainly okay to have some “big ticket names” regularly featured to attract attention. But come on? 75% repeats? That’s crazy when you consider that Wine Spectator reviews around 17,000 wines a year—several thousand of which get 90+ points. Using their Advanced Search option, I found over 1800 American, 1700 French, 300 Italian, 180 Spanish and 180 Australian wines from just the 2014 vintage alone with 90+ ratings. Is it that difficult to find more than 100 new wineries each year to feature at their marquee tasting event? While some of the repeat wineries did pour at least a different wine than they did the year before (like Albert Bichot’s Domaine du Clos Frantin pouring the 2013 Clos du Vougeot Grand Cru this year after pouring the 2013 Vosne-Romanee Les Malconsorts Premier Cru last year), 66 of the wineries poured only a different vintage of the same wines they featured in 2017. Highlighting all the same wineries featured in 2017 and 2018. Now, yes, I suppose you could argue that there is some interest in seeing vintage variation–but that is only helpful if you are tasting both vintages side by side or happen to have meticulous notes on hand of your previous tasting to compare. Otherwise, it pretty much feels like you are tasting the same damn wine you tasted last year. The big exception, though, was when wineries took an opportunity to dive into back vintages to give you a unique library tasting experience. This was the case of Domaine de Chevalier and Chateau La Nerthe who brought out their 1998 and 2008 vintages to pour. Rather than feel like you’re tasting “last year’s wine,” this gave you a chance to try something very different and both wines ended up being some of my favorites of the night. 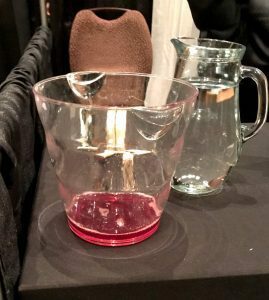 However, probably the most egregious sin of the event was the 25 wineries (around a tenth of all the wines at the event) who poured the exact same wine they poured in 2017. Granted, that number does include some NV wines that theoretically could be a “new batch,” but that still doesn’t discount the unoriginality and boredom of seeing the same wine featured. Seeing a 3-liter bottle of Tawny Port is impressive in any context, though. Even Champagne producer Lanson was able to mix things up with pouring their Black Label NV this year after featuring their NV Extra Age Brut last year. Likewise, the Port house Graham’s brought their NV 20 Year Tawny Port this year while last year they had their 2000 vintage Port available. Wineries that poured the exact same wine at each event. Sneak Peak at the 2019 Wine Spectator Grand Tour pour list? Trying a 5+ year aged Gruner was certainly interesting. I much prefer that to taste just the newer vintage of the same wine I had last year. Below are the wineries that poured the same wine but a different vintage. The vintage they poured in 2017 is listed first followed by the wine featured at the 2018 event. Above all that, I haven’t even mentioned the clear spit buckets that were also featured on several tables. Besides having around three-quarters of the wineries be the same, the crux for me was the nearly 40% of the wines being either actual or near repeats with different vintages. That’s not worth paying $225 to $325 a ticket (and up to $475 at the upcoming New York event in October). Then you add travel and hotel costs and it gets pretty ridiculous. 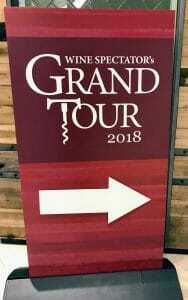 While I would still say that the value of the wines being tasted and the breadth of the tasting makes the Wine Spectator Grand Tour worth it for a first time visitor, the experience of having so many repeats of wineries and wines dampers my enthusiasm for making this a yearly priority to attend. Consequently, I haven’t made up my mind about attending the 2019 or 2020 event. However, at this rate, I feel like I’d instead find another reason to go to Vegas to play the Somm Game. Tagged Albert Bichot, Alion, Allegrini, Almaviva, Alvear, Barboursville, Belle Glos, Beringer, Brane Cantenac, Caiarossa, Calon Segur, Caparazo, Carpineto, Casa Ferreirinha, Casanova de Neri, Castellare di Castellina, Castello Banfi, Castello di Albola, Caymus, Ch. Brown, Ch. d' Esclans, Ch. du Tertre, Ch. Haut-Brion, Chalk Hill, Château la Nerthe, Chateau Ste. Michelle, Cheval des Andes, Ciacci Piccolomini d’Aragona, Clos du Vougeot, Col Solare, Colome, Craggy Range, Croft, Cune, Damilano, Domaine Carneros, Domaine de Chevalier, Domaine Drouhin, Domaine du Clos Frantin, Donnafugata, El Nido, Elk Cove, Ernie Els, Famille Perrin, Fattoria di Felsina, Feudo Maccari, Fonseca, Fontodi, Frescobaldi, Fulglini, G.H. Mumm, Graham's, Heitz, Henriot, Hess Collection, K Vintners, Kaiken, Ktima Gerovassiliou, Lanson, Las Vegas, Laurenz V., Leeuwin, Les Malconsorts, Livio Felluga, Louis Roederer, Luce Della Vite, Marchesi di Barolo, Marques de Riscal, Masciarelli, Masi, Masut, Mazzei, Mollydooker, Montecillo, Mumm Napa, Orin Swift, Pacific Rim, Patz & Hall, Penfolds, Perrier-Jouet, Pichon Lalande, Pio Cesare, Protos, Quinta do Vale Meao, Ramos Pinto, Recanati, Renato Ratti, Rocca delle Macie, Rust en Verde, Rutini, Siro Pacenti, Stag’s Leap Wine Cellars, Sterling Vineyards, Taylor Fladgate, Tenuta San Guido, Tenuta Sette Ponti, Teso, Torres, Trinchero Estates, Valdicava, Vina Santa Rita, Vina Sena, Vosne-Romanée, Walt Wines, Wine Spectator, Wine Spectator Grand Tour. My 60 Second Wine Reviews are a regular feature that gives me a chance to geek out about various wines. But while I deliver a “Verdict” at the end of each review, I also leave a glaring omission. I don’t give a numerical score. It’s not that I’m morally opposed to using the 100 point scale popularized by Robert Parker and Wine Spectator or the 20 point scale favored by Jancis Robinson and UC-Davis. I regularly look at scores by those publications and use them as tools in researching wines. But I think they’re useless for me to give out. When I first started using CellarTracker, I got into the habit of rating wines numerically but soon discovered a disturbing trend. While in theory, I had 100 points to divvy out, in truth, I was really only working on a scale of 87-94. If the wine was well made but not my style, 90-91 points. If it had some issues then 87-89. For wines I liked it was 92-93. If it blew me away then a 94. For some reason, I just couldn’t rate anything above 94. I always felt like there was the potential for something else to come along to raise the bar—even though I’ve enjoyed some fantastic wines over the years. Trust me, I’m a professional drinker. The 1996 Chateau Margaux? 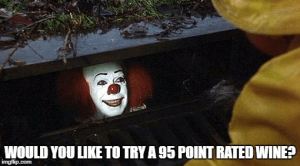 94 points. The 2010 Angelus? 94 points. The 2005 Quilceda Creek? 94 points. The 2012 Chappellet Pritchard Hill? 94 points. The 1970 Taylor Vintage Port? 94 points. The 1996 Champagne Salon? 94 points. This is not a slight on any of those wines. They all deserved the much higher scores that they got from professional critics. But for me, even though I richly enjoyed them and felt that I got more than my money’s worth with each, there was still that mental and emotional barrier that didn’t want to go higher than 94 points. 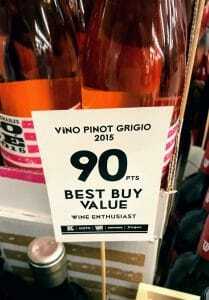 It’s silly but isn’t trying to quantify all the nuances of wine a fool’s errand anyway? And truthfully when it comes playing the fool (and doing it well), we can’t all be a Falstaff, Stanczyk, Claus Narr or James Suckling. And I believe that most wine drinkers do the same. While we might sometimes indulge our inner Robert Parkers with scoring, I would wager that most of the time when we evaluate a wine, we judge it on if we got enough pleasure to merit the cost of what we paid. It’s human nature to expect more from a $100 bottle of wine than a $10 bottle and that is the approach I take with each wine I taste. I view the cost of each bottle as a potential investment in pleasure and I seek a solid return on my investment. 94 points but well worth splurging on to try at least once in your life. 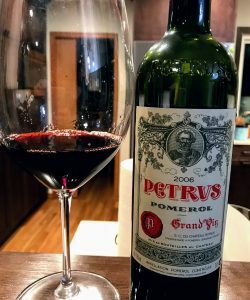 And it is my investment as my wife and I personally buy more than 90% of the wines (and whiskeys) that I review on this blog whether it be the 2006 Petrus, 20 year Pappy Van Winkle, Taittinger Champagne Comtes de Champagne Rosé or the Groth, Pegau CdP, etc. A few times even at restaurant markups! If I taste it blind and don’t know the cost, I ascribe a price point that I feel would be a good value if I was buying the wine. But unlike Robert Parker, Jancis Robinson, James Suckling and the like, I’m not trying to be a professional wine critic or consumer advocate. I’m just a geek who likes to drink. I rate wines on my personal scale of if I think they’re worth spending money on. I do that ultimately because that’s what I’m interested in. Do I want to buy this wine (again)? Just as other folks have their own tastes, people also have their own scale of value. That’s perfectly fine and, frankly, is the reason why I put the “Verdict” section at the very bottom of each review. My opinion is just my opinion and, besides, it’s really the “Geekery” section where you’ll find the good stuff anyways. Tagged 100 point scale, 20 point scale, 60 Second Wine Review, Angelus, Cellar Tracker, Ch. Margaux, Champagne Salon, Chappellet, Claus Narr, Comtes de Champagne, Domaine du Pegau, Domaine Poisot, Falstaff, Groth Vineyards, James Suckling, Jancis Robinson, Pappy Van Winkle, Petrus, Pritchard Hill, Quilceda Creek, restaurant mark ups, Robert Parker, Romanée-Saint-Vivant, Rosé Wine, Stanczyk, Taittinger, Taylor Fladgate, UC-Davis, Vintage Port, Walla Walla, wine ratings, Wine Spectator. First things, if you haven’t checked out the first entry in Spitbucket’s 3 part series on the 2017 Wine Spectator Grand Tour Las Vegas, head there now. You will find a lot of a great wines that often get passed over as score hounds hunt for the wines with the blockbuster ratings. While the wines featured in Part I were described as Ted Williams wines, the wines that I’m featuring now are more the Joe Dimaggios. They got the big scores and married Marilyn Monroe (or MaryAnn Worobiec) so of course they garnered the bulk of attendees’ attention. Out of the 244 wines, there were 25 wines that received scores 94+ available for tasting, headlined by two Vintage Ports–the 98 point rated Graham’s 2000 and 97 pt Croft 2011. I got a chance to try several of them and while there were many delicious treats that made my Top Ten list, there were also a few that were just “meh”. 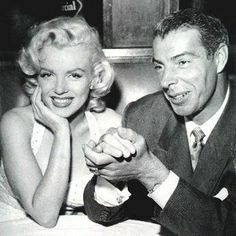 It’s good to remember that while Joe did get Marilyn–so did Arthur Miller. Adobe Road 2013 Beckstoffer Vineyard Georges III A1-Block Cabernet Sauvignon (94 points. Wine Spectator list price $175) Hands down, my wine of the night. Tiny production wine from a single block of Cabernet Sauvignon in the legendary Beckstoffer Georges III vineyard in Rutherford. The highly sought after fruit from this vineyard is prized by a “Who’s Who” of high-end California wineries like Caymus, Alpha Omega, Chateau Boswell, Duckhorn, Staglin, Hunnicutt, Myriad, Stag’s Leap Wine Cellars, Provenance, Robert Craig, Sojurn and Schrader. This example from Adobe Road delivers in spades. High intensity aromatics of black currant, blackberry with floral elements and a mixture of baking and Asian spices. I spent several minutes just smelling my glass before taking sip because the bouquet was so intoxicating alluring. The mouthfeel was classic Napa–silky smooth tannins that added weight and depth to the palate but wrapped around your tongue like kiss. But unlike a few of the other high scoring wines, this is not a fruit bomb. The acidity was still medium-plus to keep the fruit lively and fresh with the ability to age in the cellar for several more years. However, it is at such a fantastically delicious spot now, I don’t know if anyone lucky enough to get their hands on one of these bottles will want to wait. Just a perfect combination of power, balance and elegance. Ch. Calon Segur 2003 Saint Estephe (95 points. Wine Searcher average price $117) Another wine that made my Top 10 list. The 2003 vintage often sends a shudder down the spines of European wine lovers because it was a “heat wave” vintage. Indeed, a staggering number of people died from the heat and, while nowhere near as tragic as the loss of human life, grapevines also suffered. But the axiom that “Good wine is made even in bad vintages” is still aptly true. You just have to be more selective and look for the gems that had the kismet of the right terroir and right winemaking touch for the vintage. The 2003 Calon Segur is a perfect case in point. Located in St. Estephe, the Third Growth estate of Calon Segur is the most northern of the classified growth in the Medoc. While the soils have the typical Medocian mixture of gravel and sand, you also find a far amount of clay. This coupled with the overall coolness of its northernly location, gives you soils that were more apt to retain the limited, precious amount of water needed to weather the heat. Then you add a winemaking style of Calon Segur that (was then) focused on lower alcohol but brawny wines that prized acidity and structure, and you have a wine with a fighting chance to not only be good but maybe even great. It was a long term bet but one that paid off exceptionally well for the 2003 Calon Segur. The wine had a floral, spicy nose with a delicate touch of fruit that almost smelled like a great red Burgundy. The palate, though, was very Bordeaux–almost full-bodied with velvety tannins that had no greeness or bite. The spice from the nose carried through as a mixture of tobacco and baking spices that complimented the juicy, ripe dark fruits which still had plenty of acidity and life. This wine easily has several more years that it could go on but it is at a great point right now and an absolute bargain at this price. I would put this toe to toe with Bordeaux from the more heralded 2005 vintage in the $170-200 range. 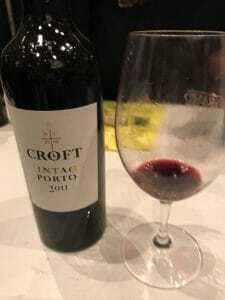 Croft 2011 Vintage Port (97 points. 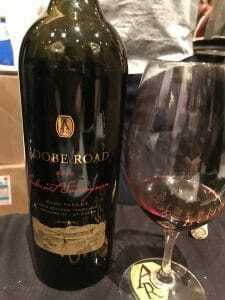 Wine Searcher average price $81) This was the highest rated wine that I got to try that night and it came from the highly acclaimed 2011 vintage. This is a vintage that is often compared to the great vintages of the 1970s as well as 1963 and 1945. However, the thing to keep in mind with vintage Port is that after a few brief years of youthful exuberance following release, these wines tend to “shut down” and enter their quiet phase or “awkward adolescence” that can last for several years or even a decade plus. The trade off is that when these wines re-emerge from that “dumb phase”, they are even more outstanding and mind-blowing. You need the patience of a grasshopper to reap the beauty of a butterfly. I go through that tangent because, sadly, this Croft has entered that awkward adolescence. This is a fate rapidly befalling upon its 2011 peers with the Cockburn and Graham’s that I’ve tried in the last year likewise being a bit underwhelming despite their pedigrees and potential. What does a “quiet vintage Port” taste like? Well in the case of the Croft it was very muted on the nose, red fruit and that was about it. On the palate, instead of being focused or concentrated, it was a rather clumsy hodgepodge of undistinguished fruit flavors and sweetness. I have no doubt that the potential to live up to its lofty score is there but it is clear that this wine was tasting exponentially better 2-3 years ago when it was being reviewed and that its best years is still much further down the road. Kistler 2013 Hudson Vineyard Carneros Chardonnay (94 points. Wine Spectator list price $80) Combine one of California’s top Chardonnay producer with a legendary Chardonnay vineyard and you are sure to have a winning combination. This wine was classic Cali Chard with tropical fruit aromas on the nose–papaya and ripe honeydew melon–followed by a creamy, rich mouthfeel. But what keeps this from being a butter bomb was the elegance with medium-plus acidity that held up the weight of the malo and a minerally streak that you’re often hard pressed to find in many California Chardonnays. No one would ever mistake this wine for a white Burgundy, but fans of the more weightier examples from Meursault and Puligny-Montrachet could appreciate this wine for being a well-made example of a California benchmark. Antinori 2013 Guado Al Tasso (94 points. Wine Searcher average price $86) A Super Tuscan blend of 55% Cabernet Sauvignon, 25% Merlot, 18% Cabernet Franc and 2% Petit Verdot, this wine captures some of the savory herbalness of a nice Pauillac but with a lighter touch and riper tannins. It was a bit tight at this tasting and, like the 2014 Ornellaia noted in the previous blog entry, will need several years to show its stuffing. Marchesi Fumanelli 2009 Octavius Riserva Amarone (94 points. Wine Searcher average price $173) This was another first-time find and it had me googling where in the US I could buy this wine. That’s always a good sign that something is heading towards my Top Ten list. This was a very spicy Amarone with some floral and earthy elements that smelled like you were hiking through a mint and clover field while carrying a bouquet of roses. The palate was very bold, almost decadent, with rich dark fruit flavors that tasted like a savory Christmas fruitcake. Every sip revealed something different with this wine unfurling on the tongue like chapters and verses of an exciting story. The balance between savory and rich was outstanding. Situated among tables next to a stunning list of top Amarone producers like Allegrini, Masi, Zenato and Bertani, Marchesi Fumanelli stood head over shoulders above them all. Much like the Emilio Moro Ribera del Duero I talked about in Part I, I was left feeling that if this wine was this impressive based on a single taste, how much more pleasure could be discovered over the course of a whole bottle? 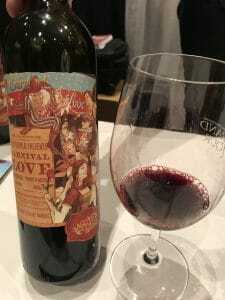 Mollydooker 2014 Carnival of Love McLaren Vale Shiraz (95 points. Wine Searcher average price $72) This winery has its legions of fans but much like smokey, peaty Islay Scotches, its a singular taste that either people love or find that its not really their cup of tea. Being a wine geek, I try to find the nuance of appeal in every wine and while the lush, over the top oak and fruity style of Mollydooker is usually not my cup of tea, I have found examples of their wines that I’ve been able to enjoy for their simple, hedonistic pleasures. But it is kind of like shooting with a bow and arrow at an apple that a circus clown is juggling. Sometimes you hit the apple and win the prize. Sometimes you miss and sometimes you impale the poor the clown. This one was just a miss. It wasn’t horrible by any stretch of the imagination. It was just really, really, really, really oaky. In fact it was competing with the Orin Swift Abstract and Belle Glos Clarke & Telephone for most oaky wine at the tasting. Lots of sweet vanilla with more overt taste of toast instead of more subtle baking spice. Trying to get past the oak to venture for some fruit, I did feel a sense of richness and intense fruit on the palate but I was hard pressed to really identify what kind of fruit it was or pick up any other layer of complexity. While, in general, Mollydooker wines are often meant to be consumed young as their low acidity usually doesn’t bode well for cellaring, I find that giving them 4 to 5 years from vintage date allows the oak to temper itself a bit while letting some character show. Ramos Pinto 30 year Tawny Port (95 points. Wine Searcher average price $85) Not too long ago, I did a tasting featuring the tawnys of Taylor-Fladgate where I absolutely adored the 30 year tawny. As phenomenal as that Taylor 30 was, I have to say that the Ramos Pinto ran laps around it. Wow, just wow. This may be one of the single best Tawny Ports that I’ve ever tasted and I would start putting it close to the 1970 Taylor and 1970 Fonseca vintage Ports as one of the best Ports, I’ve had. Period. While I was extremely discipline in spitting throughout the evening, I swallowed and savored every drop of this wine. The nose was a beautiful blend of spice and hazelnuts. The palate introduced butterscotch and dried golden raisins. The mouthfeel was the star with a silkiness that seemed almost feather-light around the tip of the tongue but pulled you in with its richness and weight towards the mid-palate. The finish was the longest of the evening. Several minutes. 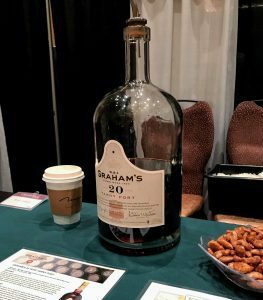 In fact, I ended up savoring it for so long that I missed out on the 98 point rated Graham’s 2000 vintage port that was being emptied in glasses as I stood by the table still reveling in the Ramos Pinto 30. While I’m sure the Graham’s would have been wonderful, I think the sacrifice of being able to enjoy the Ramos longer was well worth it. Needless to say, this wine was one of my Top 10 of the night. Rodney Strong 2012 Rockaway Alexander Valley Cabernet Sauvignon (94 points. Wine Searcher average price $74) If you mostly know of Rodney Strong for their low-end, chain-restaurant wines then this wine is an eye-opener. Much like Sbragia’s Monte Rosso I reviewed in the last post, it seems sinful to compare this Alexander Valley Cabernet to a Napa wine but I’d be damn if this wouldn’t fool me for a Silver Oak Napa (but still priced like their Alexander!). Though while the Silver Oak Napa usually needs 7 to 10 years to get to this level of complexity and drink-ability, this Rodney Strong Rockaway is already roaring on all cylinders. The nose has a great mix of ripe black currant and plum with tobacco oak spice and cedar cigar box. The palate is powerful and fills up your entire mouth with seductive fruit but also has layers of savory meaty notes underneath. The oak is present but plays a supporting role while letting the fruit and power of the wine take center stage. This wine would be equally at ease paired with a juicy prime rib as it would be with an elegant lamb dish or just being savored by itself. Torbreck 2013 Descendant Shiraz Barossa Valley (96 points. 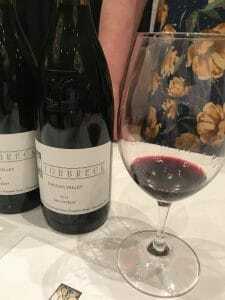 Wine Searcher average price $89) This wine was tussling with the Penfolds 2014 RWT, Two Hands 2014 Bella Garden and the Hickinbotham Clarendon 2013 Brooks Road for best Australian wine of the night. A co-ferment with 8% Viognier, this wine has an absolutely beautiful floral nose paired with vibrant berry fruit. Even though time is precious with just 3 hours to taste upwards of 244 wines, this was a wine that deliberately slows you down, encouraging you to spend several minutes just smelling and enjoying it. When you finally do get to tasting it, the pay off is well worth it with it full-body but elegant mouthfeel that testifies to but also defies it 15.5% alcohol. Tasting blind, I would’ve peg it more around 14% because of how graceful it carries it heavy weight across the palate. Medium-plus acidity keeps the fruit fresh and invites your taste buds to water enough to pick up some of the black pepper and baking spices of cinnamon and nutmeg that wraps around the berry fruit. It’s a shame that Torbreck gets no where near the amount of attention that Penfolds or Mollydooker gets because this wine is certainly among Australia’s best. 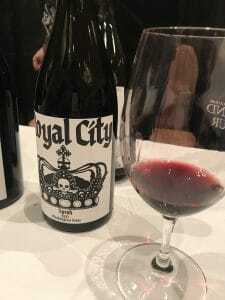 K Vintners 2013 Royal City Syrah (95 points. Wine Searcher average price $129) Like Mollydooker, I find Charles Smith’s wines of K Vintners to be “hit or miss” for me with, thankfully, more hits than misses. But these are still wines that I will hardly ever buy “on faith” without tasting first because when they miss, they’re “impale the clown” kind of misses. Partly that’s because of K Vintner’s style which seems to favor high pH, very lush wines that can sometimes veer towards issues with volatile acidity and brettanomyces. I don’t mind a little brett because it can add complexity but VA is something that I’m personally hyper-sensitive about. This 2013 Royal City had a smidgen of brett but was, thankfully, just in the gamey arena instead of the full-blown camping-in-the-horse-barn arena of brett. Also, thankfully, there was no overt signs of VA but the very dense and lush mouthfeel with medium-minus acidity doesn’t leave me optimistic that VA won’t make an appearance over time as the fruit fades with bottle age. The tannins are smooth, of course, and the fruit sweet and dark. It’s definitely a drink-now kind of wine that I’m sure will give many people much pleasure. It’s just not a wine that I would, personally, risk the clown for. Well….maybe I’d risk that clown. El Nido 2013 Jumilla (95 points. Wine Searcher average price $125) Much like Mollydooker and K Vintners, El Nido is about lush, decadence and lip smacking fruit. But while those wines were underwhelming, this wine was absolutely scrumptious. The nose gave off the siren song of rich, intensely concentrated dark fruit signaling a very fruity and full-bodied wine but the palate surprised with high, almost Bordeaux-like, acidity that added a splash of freshness to the fruit. It not only made your lips smack but your mouth water as well. It’s a big, big wine (probably the most full-bodied outside of the Amarones and Ports) but it had finesse to it that would open it up to more food-pairing possibilities than it lush co-horts. Of course, it was quite delicious still on its own. Tagged Adobe Road, Alexander Valley, Allegrini, Alpha Omega, Amarone, Antinori, Arthur Miller, Beckstoffer Georges III, Belle Glos, Bertani, Bordeaux, brettanomyces, Cabernet Sauvignon, Calon Segur, Caymus, Chardonnay, Charles Smith, Chateau Boswell, co-ferment, Cockburn, Croft, Duckhorn, El Nido, Emilio Moro, Fonseca, Graham's, Guado Al Tasso, heat wave, Hickinbotham Clarendon, Hudson Vineyard, Hunnicutt, Joe Dimaggio, K Vintners, Kistler, Las Vegas, legendary vineyards, Marchesi Fumanelli, Marilyn Monroe, MaryAnn Worobiec, Masi, Mollydooker, Monte Rosso, Myriad, Orin Swift, Ornellaia, Penfolds, Provenance, Ramos Pinto, Robert Craig, Rodney Strong, Rutherford, Sbragia, Schrader, Silver Oak, Sojurn, St. Estephe, Stag’s Leap Wine Cellars, Staglin, Super Tuscan, Tawny port, Taylor Fladgate, Ted Williams, Torbreck, Two Hands, Vintage Port, volatile acidity, Wine Spectator, Wine Spectator Grand Tour, Zenato. Russell’s in Bothell, Washington is always a great stop for wine lovers and foodies. The Northwest-focused menu updates regularly with fresh seasonal ingredients and the wine list is always top notch. 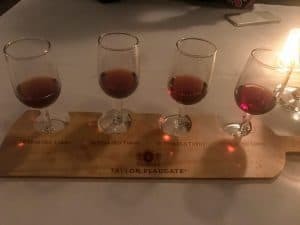 On a recent visit there, I finished the evening with a flight of aged Tawnys from Taylor Fladgate–10, 20, 30 and 40 year. It was a very interesting and eye opening experience trying each one side by side. The 10 year Tawny retails for around $23-28 for a standard 750ml bottle. As the “entry-level” aged tawny, it is very solid with a medium plus intensity nose that is a mix of dried tropical and red fruit, some chocolate and nuttiness. What’s most impressive is the balance in the mouthfeel between the concentrated richness of the vanilla nuttiness with the overall lightness of the fruit and easy drink-ability. As a fortified wine with 20% ABV, you really shouldn’t drink more than a small glass or two in a sitting but this tawny is just so darn yummy that I can see it being a dangerous friend. The 20 year Tawny retails for around $42-50. This one had more spice on the nose but for most purposes was virtually interchangeable with the 10 year. Smooth, elegant mouthfeel with nuttiness and dried fruit. Maybe a smidge longer of a finish but, again, pretty minor jump in quality from the 10 year to this. If anything, tasting the 20 year next to the 10 encouraged me to be even more impressed with how solid the 10 year is. The 30 year Tawny retails for around $120-150. This was the class of the flight and was utterly amazing with high intensity aromatics of dried red fruit, marzipan, orange blossoms, marinated cherry and black licorice spice. Every sniff brought out something different and I was struck by the myriad of layers and different types of aromas that was popping out. The palate more than held its own with an incredibly smooth, silky vanilla mouthfeel and a long finish of caramel cream brulee that you could still taste even two minutes after swallowing. Like with the other Taylors, I was most impressed with the balance of rich intensity with elegance and finesse. The 40 year Tawny retails for around $170-200. This was enjoyable but as good as the 30 year was, it was hard for this one not to be overshadowed even though the freshness and richness of the deep red fruit was impressive for its age. The 40 year simply tasted like a much younger wine, which is both good and bad with Port. It had charm with how much life it had but when the overall complexity of aromas and length of the finish that you expect to be heighten in an older wine pales in comparison to the 30 year, it hard to justify the jump in cost. Simply put, you expect an older port to taste like it has had the benefit of more years aging than its younger comrades and this 40 year didn’t deliver that. Tasting through the flight, the repeated theme of the younger Port out-delivering its older brother was apparent. While the 20 and 40 years weren’t bad by any stretch of the imagination, they were simply out shined by how much more bang for the buck that the 10 and 30 offered in comparison. It’s a solid lesson that is always worth being mindful of when shopping for wine. As we looked Behind the Curtain of wine pricing in a previous post, the pricing of wine is never a cut and dry subject. The nature of Port wine production is very cost and time intensive that requires a premium for older wines. (Richard Mayson’s recent book on Port offers some great insight about the process) The expected trade off for that premium is presumed to be more complexity and more “wowness” but it might not be to an exponential degree of something like the 20 year being twice as good as 10 year and the 40 year being 4x as good as the 10, etc. There is still some charm in drinking a wine like the 40 year that is old enough to run for President of the United States (and maybe do a better job) but each consumer will have to decide if that charm and novelty is worth the cost. Tagged Port wine, restaurant, Russell's, Tawny, Taylor Fladgate, wine list.